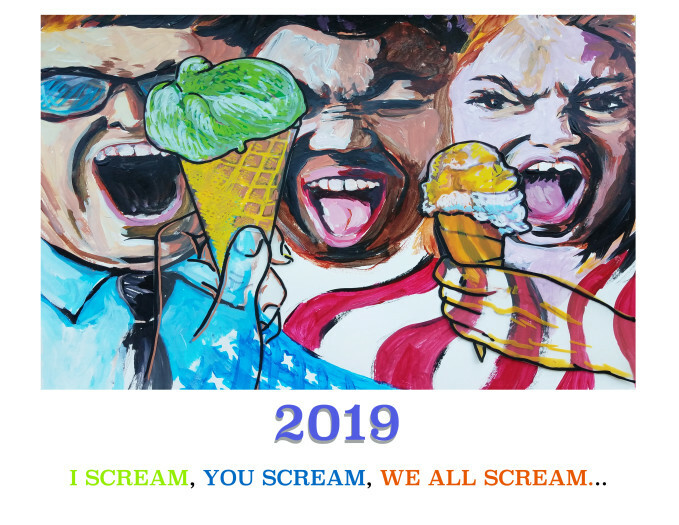 A Calendar to stop the American screaming and take sweet steps towards reconciliation. Each month features full moon, a simple step, and a small ice cream fact. A perfect gift for those wanting to reach out to lost friends and relatives who can't seem to bridge the current discourse divide.